Minnesota's Moose Mystery: What's Killing Them? : The Two-Way In northeastern Minnesota, moose are dying at an alarming rate. State officials are having difficulty determining why. And though hunters are not part of the problem, the state announced Wednesday that there will be no moose hunting season this coming fall. Disease? Predators? Climate change? Minnesota's Moose Mystery: What's Killing Them? In northeastern Minnesota, moose are dying at an alarming rate and state officials are having difficulty determining why. And though hunters are not part of the problem, the state announced Wednesday that there will be no moose hunting season this coming fall. "There's just a plummeting population here," state Department of Natural Resources Commissioner Tom Landwehr said, according to our colleagues at Minnesota Public Radio. Officials want to do what they can to protect the remaining moose as they continue to search for an explanation of their decline. "Based on the aerial survey conducted in January, the new population estimate is 2,760 animals, down from 4,230 in 2012. The population estimate was as high as 8,840 as recently as 2006." That means the number of moose has dropped nearly 70 percent since 2006. The Duluth News Tribune writes that "biologists don't know exactly what's killing Minnesota's moose. While climate change is considered a factor, moose also die from disease, parasites and predation. 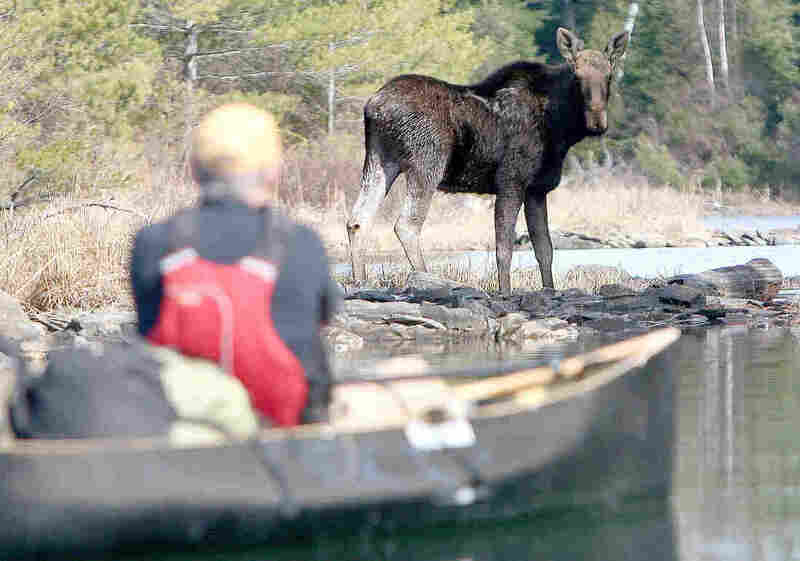 But in recent studies, the cause of moose mortality is listed as unknown in about 75 percent of research cases." The Associated Press says that "data from previous studies suggest that predation by wolves and bears has only a small effect on the adult moose population." "From a chopper, they shot moose with a tranquilizer dart rendering the beasts immobile for about 20 minutes. Once the moose were sedated, scientists took blood and hair samples. They also inserted a state-of-the-art implant that the moose swallowed. It monitors their heart and internal body temperature. "Finally, researchers placed a collar on the animals that will track their every move, most importantly sending an alert to researchers when they have died. That's how this is different from other collaring efforts. The DNR will now be able to get to the moose within 24 hours before decay and scavengers take hold." In total, Minnesota Public Radio adds, researchers have put collars on 100 moose.